Witness Protection: Ty Westgate is a man living under witness protection. Brooke Dunbar is a young nurse, struggling to find hope and healing from her past. After four years in hiding, Ty puts his faith in Christ and realizes his moral duty to tell his unsaved parents about Jesus. Until Pr oven Innocent: Bethany Young is running from the law. Accused of a murder she didn’t commit, Bethany’s life is in the hands of one of her accusers. Embarking on an irreversible journey, Deputy Tanner Brenly and Bethany work to unravel the secrets that tangle her life. How can Bethany prove she’s innocent when all the evidence points to her? How can she expect Tanner to believe what even she cannot prove? 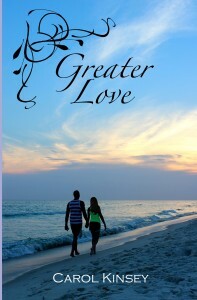 Together, Bethany and Tanner must wait and trust in the Lord – until proven innocent. Greater Love: Trey Netherland is undercover. Rainey Meadows has been deceived. She wants answers. He wants the bad guy. Together, Rainey and Trey find themselves in the heart of Columbia, both searching for different things. As Rainey struggles to learn who she is, Trey is torn between the lies he’s told and the Truth that is fighting to reach his heart. Tangled in a dangerous plot, can Rainey trust the man whose lies put her heart in turmoil? Will Trey finally cry out to the only One who can truly set him free? There is only one Truth and it’s in Him they find Greater Love. Under the Shadow of a Steeple: It’s not easy being a teenager in foster care. Tormented by verbal abuse and the threat of being separated from her brothers, Hailey knew something had to change. Hoping to find the peace they long for, Hailey, Hayden, and Grant, and their foster sister, Kyra, set out on a journey that would change their lives forever. Can Hailey keep her family together by running away? Will God heal their hurting hearts and help them find the love they long for? 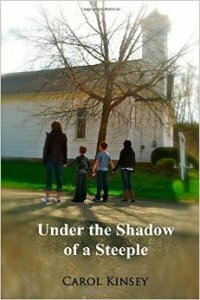 Hailey hopes to find protection under the shadow of a steeple. Writing & Literature Curriculum for Junior High & High School Students: Good writers are good readers. Good readers come from reading good books. When children enjoy their reading, they become more passionate readers. 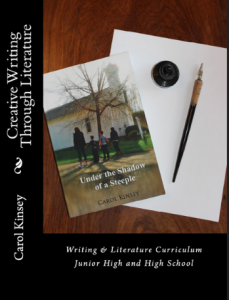 Creative Writing Through Literature is designed to help your child become a better reader and a better writer by introducing them to good books and giving them opportunities to develop creative writing skills.This complete literature and writing homeschool curriculum incorporates writing techniques, literature, grammar, vocabulary, spelling, and scripture, for junior high through high school students. 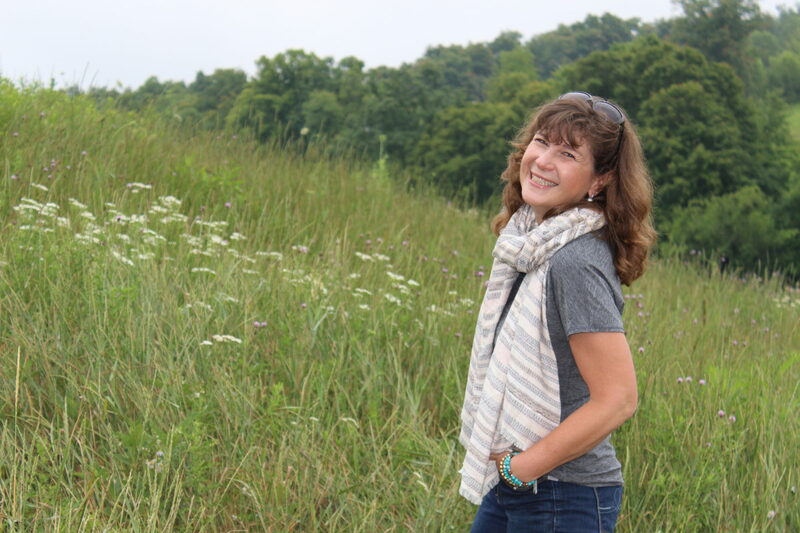 Creative Writing Through Literature: Adventures in Non-Fiction: This upper level, college prep literature and writing course explores APA formatting, MLA formatting, essay writing, narrative writing, journalism, and more. This complete literature and writing homeschool curriculum is both challenging and thorough. Writing in an understandable way, students will gain a solid understanding of college writing. Adventures in Novel Writing: A complete high school literature and writing course! 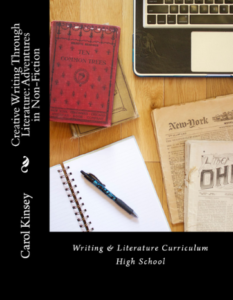 A great curriculum for your aspiring writer! 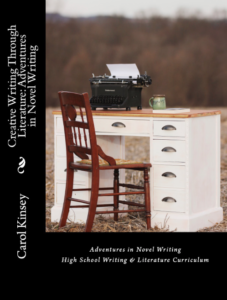 Adventures in Novel Writing is packed with grammar lessons, literary terms, and assignments designed to deepen your high school student’s understanding of writing. Students will also have an opportunity to write their own fiction novel! 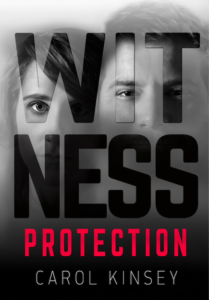 Students will read the novel, Witness Protection, as well as four other novels of their choice. They will also do regular Bible reading and journaling. It is recommended students use the Spiritual Circle Journal, found on spiritualcirclejournal.com.